Facebook has added app ratings and negative feedback metrics to the App Insights tool in an effort to provide you with a better understand of your app’s performance. Previously, Facebook used this data to determine what appears in members’ News Feeds, but you were unable to view these insights or track your performance over time. Facebook’s app ratings dashboard will display how individuals have rated your app on a scale of one to five stars. You’re able to view the ratings across several different demographics, including age and gender, country, and locale. The negative feedback metric will show you how many times people have chosen to hide stories from your app, reported stories as spam, or blocked your app completely. 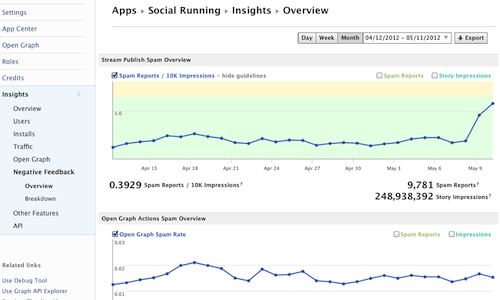 Insights will also include the ratio of negative feedback to total impressions. The new app ratings and negative feedback will also help determine which apps appear in the company’s recently announced App Center — which highlights apps with the highest ratings, engagement, session length, and voluntary sharing. Additional insight into how your app is performing is extremely beneficial, considering prior to this you were only able to track your overall rating. 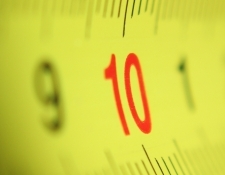 When it comes to measuring growth, negative feedback can be just as helpful as positive.